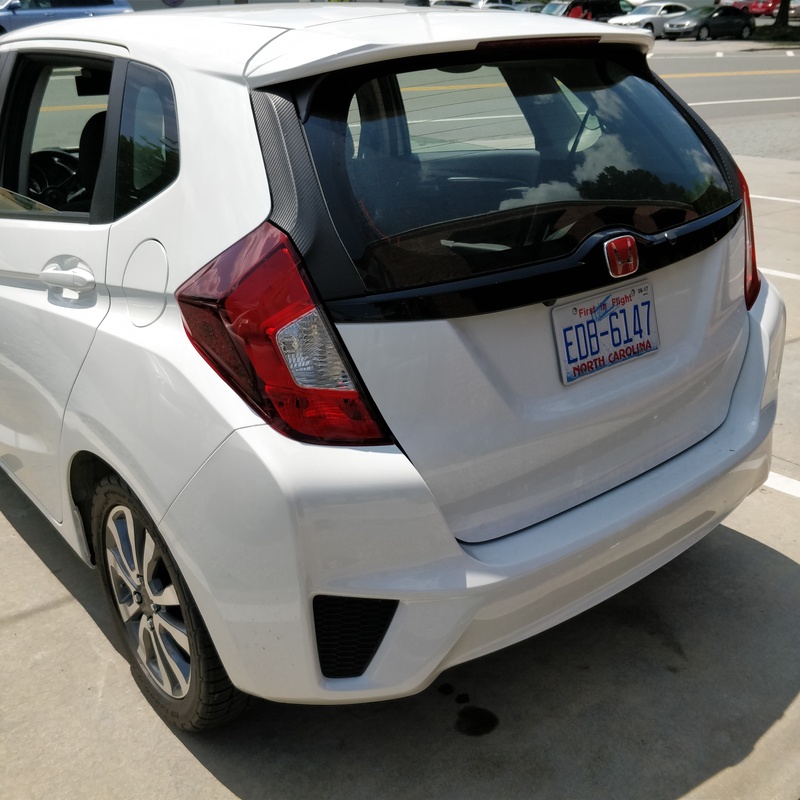 I was just wondering if anyone has painted (or plastidipped) the rear, upper tail light/reflectors because I was considering having this done to my black Fit, and I wanted to see how it looks. Does anyone have any links to images of this kind of mod on a Fit? Also, will an auto body shop do this type of work or is there a better and cheaper alternative? Hey Eddiev8, thanks a lot. This is exactly what I was looking for. How do you research where to have to have this done? Just google plastidip or VHT night shades for my area or call the local body shops? I think you could do it yourself to be honest. VHT night shades is a spray can to black out tailights and plastidip is a rubber coating spray that you can peel off whenever you feel like you dont like the look anymore. 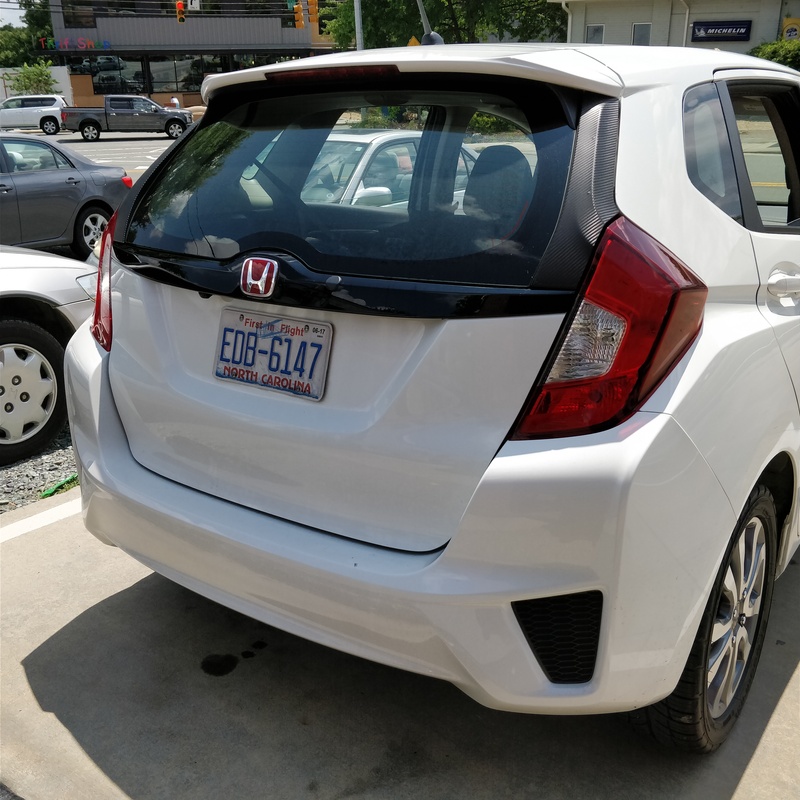 As far as dismounting the top end of the tailights I am not sure how to do. My brother has a GK5 but he wouldnt let me touch it to figure out how its done. I know for sure the tailights would be easy to take off but not sure about the upper part. I am certain it wouldnt take long to figure it out. The body shop could do it as they have manuals and stuff but in my opinion I wouldnt go. I recommend plastidip because its darker and youll only need a couple of passes to be done. Cool. Thanks a lot for your help and the link. I really appreciate it. Actually, I like the look. Makes the car look lower and wider in the rear. Considering that the "reflectors" really aren't, and serve no useful purpose on domestic Fits, why not? Nice look. Those "reflectors" don't seem to reflect anything, anyway. 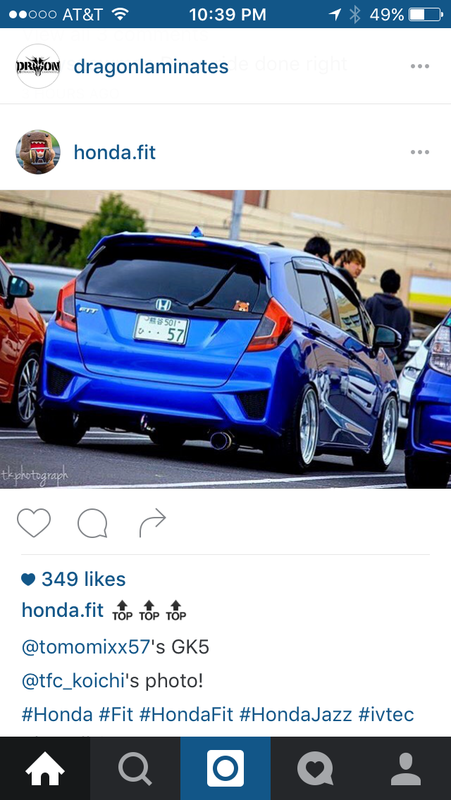 if it's just the tinted look you want in that pict, id get tint film instead. I wrapped mine with carbon fiber vinyl a few months ago, and love the way the look. I love the idea. I have lots of carbon fiber vinyl left over from another project. I never realized that those pillar reflectors do not light up. I hated the "Volvo" look anyway. Last edited by wasserball; 12-28-2017 at 10:21 PM. Did you remove them to wrap them? I tried wrapping the rear garnish but it was a failure so I pasti dipped it. i wouldnt remove it to wrap it. but would use a heatgun for sure. I removed both pieces (two 8mm nuts on each side,) washed with dish detergent, let dry, wipe with rubbing alcohol, laid the vinyl, and heat treated with heat gun. Heat gun should be used for setting the shape at the end not during in order to prevent excessive stretch in when laying down the vinyl. Make sure to cover all the clear red plastic, when you open the hatch side portions of the reflector are visible and look bad if not covered with vinyl. I like the look. I may do that also. Quick Reply: Has anyone painted the rear, upper tail light/reflectors?